By means of structural design of the control spools and solenoids, switching shocks occurring when activating and deactivating the valves are significantly reduced. The switching shocks, measured as acceleration valuesa, can be reduced by up to approx. 85 % when compared to the standard valve depending on the design of the control spool (see Acceleration values). 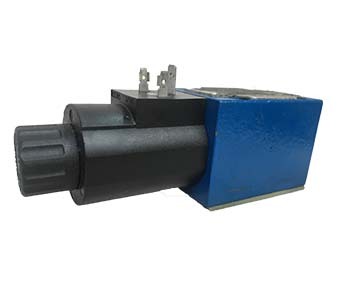 The directional valves basically consist of the housing , one or two solenoids, the control spool, and one or two return springs . Looking for ideal Directional Valve Working Principle Manufacturer & supplier ? We have a wide selection at great prices to help you get creative. All the Brand Directional Control Valve Parts are quality guaranteed. We are China Origin Factory of Directional Flow Control Valve. If you have any question, please feel free to contact us.